Some travellers who have been to Manipur believe that winters are the best time to be in Manipur. The start of the winter brings in a sense of calm and serenity. 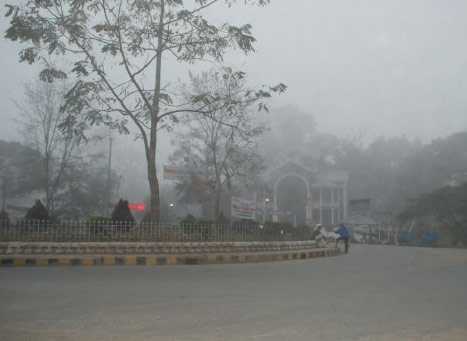 Winter arrives in Manipur as early as October and stays till March. However, winter in Manipur is not like its neighbouring states. Winter in Manipur is cold but just cold enough to make you realise it’s winter season without making you shiver all day in freezing cold. The temperature in winters is around 8-23 degree Celsius. The days are relatively warm and sunny whereas the nights are chilly. The temperature in winter is best suited for exploring the mesmerising state of Manipur. From vast grassland to the hamlet of villages, Manipur has many secrets that can only be unravelled by experiencing Manipur first hand. The start of the winter season also brings in the joy of Kohima festival. The world famous Kohims festival is the display of vibrant and exuberant Manipuri culture and traditions. Artists like singers, painters, Laureates and dancers from all over the Manipur assemble to display and promote the traditional tribal art form. The blend of natural paradise and vibrant culture make up for Manipur to be a picture-perfect destination in India. There are also various trekking trails in Manipur which can be completed during the weather season. Winter in Manipur is a lazy affair, you can either sit back and enjoy the natural scenic beauty or pack your backpack and explore the hidden gems of Manipur. Some of the places that can be visited during the winter season are Imphal, Loktak Lake, Kangla Fort, Khonghampat, Kakching, Shirui, Ukhrul and many more.